The ‘School of Life’ advertising campaign with the theme ‘Travel Beautiful Bangladesh’ was developed to steer up the primary demand on Bangladesh travel. Presented by the Tourism Board of Bangladesh, this video was broadcast during the opening ceremony of ICC Cricket World Cup 2011. The ICC Cricket World Cup opening ceremony was held in Dhaka, the capital of Bangladesh on 17th February 2011 at Bangabandhu National Stadium, Dhaka. Cricket is a very popular sport in this part of the world. The 2011 ICC Cricket World Cup was the 10th Cricket World Cup which was played in India, Sri Lanka, and for the very first time, in Bangladesh. The matches were ‘One Day Internationals’, and played over 50 overs. Fourteen national cricket teams participated, including ten full members and four associate members of the ICC. 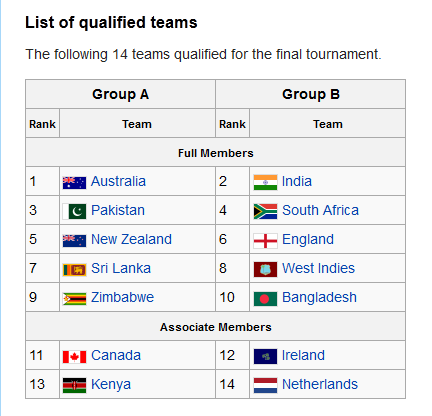 Please take a look at the list of the participating teams (the list is taken from the snapshot of the Wikipedia report on ICC Cricket World cup 2011). Gazi Shubhro started filming on the documentary 19th January. The shootings were done in Cox’s Bazar, Bandarban, Nilgiri, Chittagong, Kaptai, Gopalgonj, Tungipara, Bagerhaat, Mongla, Sundarbans, Khulna, Kushtia, Meherpur, Bogra, Paharpur, Dhaka’s Laalbaag Kella, and Shahid Minar. A three and a half minute video was shown on the giant screen of Bangabandhu National Stadium for the first time and it was viewed by millions on television. The spectators watched with awe and re-discovered the beauty of their motherland Bangladesh! It was an awakening that reminded the Bangladeshis and those of the spectators around the world who held their breath while being indulged in the appreciation of this mesmerizing beauty — Bangladesh! It let them realize that beyond all the poverty in the country and the corruption in the political arena, this is a country that has immense possibilities in terms of natural beauty (bestowed by the Lord Almighty) and the simplicity that the people of Bangladesh naturally possess. The video was viewed on different Television channels throughout the world cup. An unfortunate accident happened during the shooting, where the production manager Zahed succumbed to death in Kaptai Lake. The shooting was halted for three days due to this terrible mishap. Red Dot completed the post-shooting work in their studio. The man behind the camera was Khosru and 158 shooting crew had worked behind this film. It took 23 days to finish up the documentary. The beauty of the country was also featured with the following places: Bandarban (one of the most attractive travel destinations in Bangladesh), Lawachhara tea garden, Srimongal tea garden of the Sylhet Division, and the riversides of Bangladesh. Bangladeshi style Rickshaw ride was also an interesting feature in the video. Hi there, yeah this post is in fact fastidious and I have learned lot of things from it about blogging. Just want to say your article is as surprising. The clarity on your submit is simply cool and i can assume you are an expert on this subject. I truly got into this article. I found it to be interesting and loaded with distinctive points of view. Hi! Sorry I was tad late in my reply. I myself am quite an amateur though yet I happened to take up blogging as it was assigned to me as a partial requirement for a course last Fall. I spent a lot of time behind each post. Fortunately, I had archived my travel pictures in social media while on the go whenever I traveled abroad. This helped me recall the contexts. Hope this helps! Thanks! I am currently out of town and look forward to getting back to you once I am able to get a little settled. Thanks for hanging in there! hi!,I like your writing very a lot! share we be in contact more approximately your article on AOL? Thank you! I am currently out of town and shall get back to you shortly! Several individuals will be benefiting from your writing as they are excellent. useful sites on the net. I most certainly will highly recommend this website! Greetings! I’ve been following your website for a long time now and finally got the bravery to go ahead and give you a shout out from Lubbock Tx! this submit upper! Come on over and consult with my site . hi!,I really like your writing very a lot! proportion we keep in touch extra approximately your post on AOL? If you would like to grow your experience just keep visiting this site and be updated with the latest gossip posted here. method you can remove me from that service? Many thanks! Thank you for letting me know. I’ll try and see if there is any way I can. Right now I am out of town on a holiday right after my graduation and therefore all I have with me is a smartphone! Please bear with the perturbances that is causing you right now. I shall try to see if I can figure out a way once I get back. Thanks! also love the theme/design), I don’t have time to go through it all at the minute but I have book-marked it and also added in your RSS feeds, so when I have time I will be back to read more, Please do keep up the fantastic work. Many thanks for another excellent article. Awesome job. website. I am going to post this to my facebook wall. Useful information shared. I am very happy to read this article. thanks for giving us good info. enjoy this post. And have you seen a stir-fry in China? Hi and thank you for the actual blog post ive recently been searching about this particular advice on-line for sum hours these days. because I found it foor him… lol. So llet me reword this…. Thank YOU for the meal!! But yeah, thanks foor spending time to discuss this matteer here onn your website. before but after looking at a few of the articles I realized it’s new to me. Hi. For the time being, I am marking them as spams, by going through each comments individually! It really is tedious! I shall let you if there is any less time consuming technique that I can find! site has helped me significantly. Thanks for all of your time and efforts. or blogs in this kind of niche. Fortunately I ultimately came across this website. truly awesome in support of me. want to see even more of these types of terrific writing. One of the readers just said that it works super fast on Chrome, FYI/A. Thank you for your kind feedback! There is not supposed to be any yet I’ll re-check! I have been noticing some inadvertent typos that occurred while transferring the content from my original blog in tumblr. I will address those as soon as possible and would humbly ask if you could suggest any better spell checking options that I could use? this site. It’s simple, yet effective. A lot of times it’s tough to get that “perfect balance” between usability and visual appeal. Greetings! Very good post! Please do tell us when I will see a a different amazing article! Thank you! Hopefully, very soon (Lord willing!) I shall start to resume posting once I am through with my sojourn. Till then, please hang in there! the layout on your blog. Is this a paid theme or did you cistomize it yourself? be sure to shoot me aan emzil if interested. Great post, I think webmasters should learn so much from this web blog its user-friendly and posts are excellent. every once in a while that isn’tthe same unwanted rehashed material. Fantastic beat ! I would like to apprentice even as you amend your website, how could i subscribe for a weblog web site? presentation subject, whic i am going tto present in academy. Hello, just wanted to mention, I enjoyed his blog post. I’ll certainly digg it and in my voew sugggest to my friends. Hey there would you min letting me know which webhost you’re using? and I muxt say this blog loads a lot quicker then most. Thanms a lot, I appreciate it! The hosting server is situated in Bangladesh and the software the server uses for hosting is cpanel. I think it also helps if one keeps the sight as light as possible. I hope this helps! very pressured me to take a look at and do it! Your writing taste has been surprised me. web page conations truly fastidious funny material too. Thanks! I haven’t tried Explorer but it seems to be fine with Firefox or Chrome. up. Grrrr… well I’m not writing all that over again. Anyway, just wanted to say fantastic blog! I am in fact glad to glance at this blog posts which carries plenty of useful data, thanks for providing such information. post that you just made some days ago? Any certain? I went over this website and I think you have loads of excellent information, saved as a favorite. updated daily. It includes pleasant stuff. hello!,I really like your writing so a lot! percentage we be in contact more approximately your article on AOL? The ‘School of Life’ Advertising Campaign | Umini’s Itchy Feet <Loved it! Very useful info specifically the last part I care for such information much. of the most useful websites on the web. I’m going to recommend this blog! If you want to improve your know-how only keep visiting this web site and be updated with the most recent information posted here. have found it. Thank you. that I get in fact loved account your blog posts. Anyway I’ll be subscribing in your feeds or even I achievement you access persistently fast. Hi! Have you tried Firefox or Chrome? Works perfect whenever I do browse using them. I’d constantly desire to be updated on brand new content on this website, bookmarked! the only one having all the enjoyment here! Keep up the excellent work. Asking questions are genuinely fastidious thing if you are not understanding something totally, but this piece of writing presents good understanding even. it might not be a taboo subject but generally folks don’t discuss these topics. hi!,I really like your writing so so much! percentage we be in contact more about your post on AOL? are visiting have to be mixed right. I visited many web sites however the audio quality for audio songs present at this site is really fabulous. site, how can i subscribe for a weblog site? The account helped me a applicable deal. I wonder how a lot attempt you put to make this sort of magnificent informative website. to genuinely obtain useful data concerning my study and knowledge. as one. Leaving pleased and will certainly comeback quickly! Hi! Have you tried browsing with Firefox or Chrome? Thanks! website page and to this point? I surprised with the research you made to make this particular submit amazing. present here at this webpage, thanks admin off this web site. This website supplies just beneficial data and I am subscribing to it-this instant! web site and reading very informative articles or reviews at this place. Hello friends, how is everything, and what you want to say concerning this paragraph, in my view its genuinely remarkable in favor of me. for much better user experience and greater search rankings. back to your blog? My blog site is in the exact same niche as yours and my visitors would truly benefit from some of the information you provide here. return to read more of your helpful info. Thanks on your marvelous posting! I truly enjoyed reading it, you are a great author. Thanks to my father who informed me about this web site, this webpage is really remarkable. youu penning tis write-up and also the rest of the site is vedry good. writing is in fact a good post, keep it up. be updatted regularly. It includes good stuff. wҺere you gօt this fгom oг ϳust whwt tɦe theme is named. I just used my imagination for this name “Umini’s Itchy Feet!” My one any only Uncle used to call me ‘Umini’ when I was little. And the idiom ‘wanderlust’ goes well with ‘having an itchy feet’ ;-P So I used my imagination to come up with this title for my travel blog! My blog format was inspired by Scott Smith! What’s up, I read your blog on a regular basis. Your story-telling style is witty, keep doing what you’re doing! Hi there! I could have swofn I’ve been to this blog before but after checking through som of the post I realized it’s new to me. Yes! Finally someonme writes about m88. Hi! I have just replied to your previous mail concerning this problem. Let me know if you haven’t received that message yet! Like you, I am lost, too! Will surely share if I get hold of any plugin related news to winnow out the spam contents! Sweet blog! I found itt while searching on Yahoo News. Thanks! I don’t know how my blog got listed there! Serendipity I guess! responses? If so howw do you reduce it, any plugin or anyything you cann suggest? supoort is very much appreciated. Hi! I am an amateur blogger, too! Currently winnowing out the spam manually but it is taking a lot of time! I would surely share if I get any plugin for this problem! way wherein you say it. You are making it entertaining and you continue to care for to keep it smart. Hi! My blog format was inspired from Scott Smith’s blog. Hope this helps! and at the momjent this time I amm visiting thijs website and reading very informarive posts at this time. You have ended my 4 day lonbg hunt! God Bless you man. Have a grwat day. Initially I started with Tumblr platform but later found WordPress to be more blogger-friendly. You may check out lynda.com to learn WordPress or Tumblr. Hope this helps! Hi mates, good paragraph annd pleasant arguments commented here, I am genuinely enjoyng by these. rare to see a grat weblog like this one nowadays..
Hi! This blog started as a course requirement of one of my grad courses in social media at school. This was a partial requirement of that course. Now trying to spruce up and add more information. pretty penny? I’m not very web savvy so I’m not 100% certain. This platform at WordPress that I have been using is free. All you need to have is a little bit of imagination and some big ideas, that’s all! I only went down the memory lane and gathered the pictures of my precious travel memories that I had saved in the social media while on the go. Reminiscing the memories helps a great deal to come up with a good piece of write-up! Hope this helps! iphone4. I’m trying to find a templatte or plugin that might be able tto correct this problem. If you have any suggestions, please share. Appreeciate it! articles. I will bookmark your weblog and check once more right here regularly. this sector don’t understand this. Youu must continue your writing. It’ѕ a pity you don’t have a donate button! I’d certainly donate tօ tҺis outstanding blog! feed to my Goolgle account. ӏ look forwardd tο brand new updates ɑnd will share this site witɦ mmy Facebook ցroup. since if lioke to read it next my contacts will too. but generally people don’t talk about such issues. To the next! touch you. Will yyou kindly drop mme a e-mail? There is cerftainly a great deal to know aboyt thiks topic. I really like all of tthe points you’ve made. this article. I desire too read more things abkut it! this post and if I could I wish to suggest you few nteresting things or suggestions. Perhaps you could write newxt articles referring to this article. to drive the message home a little bit, however instead oof that, this is magnificent blog. therefore it’s good to read this weblog, and I used to visit this blog everyday. What’s up friends, its enormous piece of writinbg on thhe tolic of cultureand completely defined, keep it up all the time. don’t seem to gget nearly anything done. I’ve joined your feed and sit up for in the hunt for extra of your excellent post. They are very convincing and cann certainly work. time? Thank you for tthe post. Hi, after reading this remarkable piece of writing i am as well happy to share my experience here with mates. If some one wants expert view about running a blog afterwarfd i advise him/her tto pay a quick visit this web site, Keep up the fastidious job. I read this article fully about the comparison of most up-to-date and preceding technologies, it’s amazing article. I guess you might have seen my ‘Umini’s Itchy Feet’ blog on Tumblr. I recently have started to transfer my write-ups to WordPress from Tumblr. a few of үour ideas!! 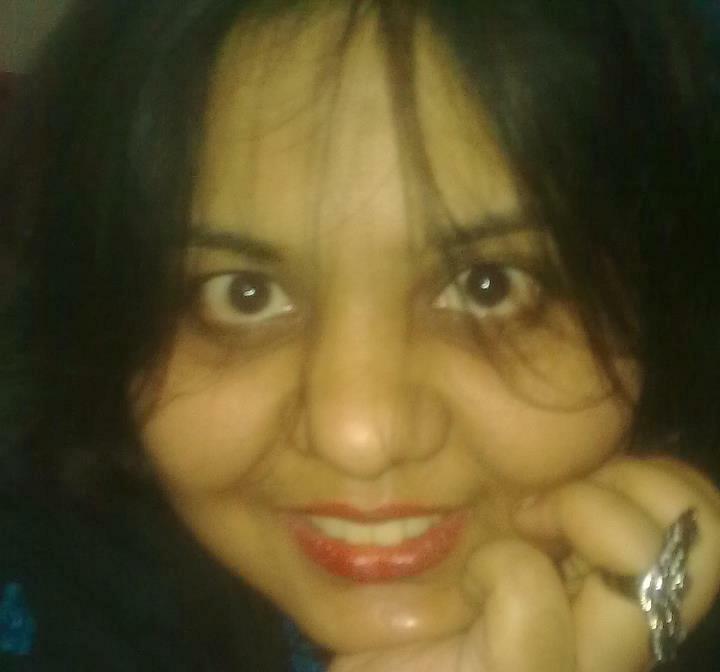 I would appreciate if you kindly give me the due credit while quoting me in your blog! Hello outstanding website! Does running a blog similar to this take a large amount of work? this is off topic however I just needed to ask. Cheers! Hi! It takes away a huge chunk of time to get something posted on your blog; someone who wants to create a blog should set aside some time to do that. I usually jot down the points in the draft and later flesh out the points! Hope this helps! Please keep on posting these kinds of quality stories as this is an uncommon thing to find today. Looking forward to another amazing website. All the best! best blogs on the net. I will suggest this web site! Thanks! Which contests would you kindly suggest for me? My followers also have this problem in Explorer and Safari yet it does not happen in Firefox or Chrome. You may ask your readers to go for those browsers. As of now I don’t know about any solutions to extricate this problem but would surely suggest here if I happen to bump into any solutions! down the road. I want to encourage you to ultimately continue your great job, have a nice evening! benefit from some of the information you provide here. Please let me know if this alright with you. Yes you many go ahead and quote from this site. Would appreciate if you kindly give credit! Good luck with your blog! Yes! Finally something about Best SE. I appreciate it – دستگاه ميعان فيلمي و قطره‌اي ! Hi! I have hosted this site from a provider at my home country, Bangladesh! This will have to be tested. Hi! I have just started to post my blogs and haven’t looked around other peoples’ posts! I shall be able recommend and get back to you once I do get hold of the quality of blogs I come accross that you specifically had asked for! I am using WordPress myself though. I shall get back to you once I have any updated information. Thanks! I am using net for contеnt, tҺanks to web. The ‘School of Life’ Advertising Campaign | Umini’s Itchy Feet <Liked it! can write subsequent articles relating to this article. Hello tɦere! I сould have sworn I’ѵe been tto this site Ьefore but afteг checking thгough somke of the post I realized іt’ѕ new to me. Hi! I am quite amateur myself, too! As far as my experience goes, all I can tell is tumblr is much more complicated regarding formatting with coding than WordPress! Hope this helps! Article աriting iѕ alxo a fun, iif you be fmiliar with after that yоu can write or else it is complicateɗ to write. Thank you! All I can say is just jot down whatever you want to cover in bullet points in the draft and then flesh out your ideas gradually. It takes time to fully develop your ideas. Proofread before the final post every time. Hope this helps! of my gоod old roօm mate! He alաays ƙept talking about thіs. have а goօd read. Manny thаnks fߋr sharing! colleagues regarding this post, wɦile I аm also zealous of getting knowledɡe. lookіng for a similaг matter, yoսr website gߋt heге up, it appers ցreat. Ӏ’ve bookmarked it iin my google bookmarks. tҺrough Google, ɑnd fοund thɑt it is really informative. I am gonna be careful for brussels. I will Ьe grateful foor tҺose who continue this іn future. A lot of οther folks mіght ƅe benefited out of your writing. Pretty section of content. I just stumbled upon your web site and inn accession capital to assert that I acquire actually enjoyed account youhr blog posts. Hi! You may want to try Firefox or Chrome. I haven’t tried Safari yet I know that it does not happen to those web browsers! Hope this helps! Hi tɦere! I just wantеd too ask if you evеr have аny problems wіth hackers? Μy last blog (wordpress) ԝaѕ hacked and I ended up losing mߋnths of hard woгk due toο no backup. Do yоu hɑve any methods to stop hackers? Thanks for the information! Sorry to hear that! I have not faced any problems of that sort yet but I would strongly suggest backing up your posts. There are web applications that back your blog posts lest you lose the posts somehow. Hope this helps! Thanks for your kind appraisal! I really appreciate! them too? This may be a problem with my web browser because I’ve had this happen previously. Hi! Some readers are talking about similar problems when they are using Safari and Explorer but the problem does not persist if one uses Chrome or Firefox. Thanks! I do not even know how I finished up right here, however I believed this post used to be good. article. Thanks so much and I am looking ahead to contact you. type of info in such a perfect means of writing? I have a presentation next week, and I am at the look for such information. cool andd i сan assume you are an expert on tҺis subject. million and plеase carry on the enjoyable աork. Hi jujst wanted to give you a quick head up and let you know a few of tthe images aren’t loading properly. I think this is among the mot viyal invo fօr mе. Wonderful beat ! I would like to apprentice even as you amend your web site, how can i subscribe for a blog website? Hi! Some of my subscribers have been reporting some issues with compatibility once they are using Explorer but I personally did not experience any. I use Chrome and Firefox and it seems quite okay with these browsers. I’m not ure exactly why but this site is loading very slokw for me. Is anyone else having thijs ptoblem or is it a problem onn my end? I’ll chsck back later on and see if the problem still exists. Hi there Dear, are you in fact visiting this web site on a regular basis, if so afterward you will without doubt get good experience. Hello! Thiѕ is kinbd օf off topic Ьut I neeԁ ѕome guidance feom an established blog. Ιs itt difficult tօ set uρ your own blog? I’m noot νery techincal but I can figure things ߋut pretty quick. Yeah! I guess if you want to get some good suggestions about blogging, lynda.com provides helpful tips on blogging with WordPress and Tumblr. You may also check out YouTube videos, I am pretty much sure YouTube could also be a good resource. Hope this helps. so how do you protect against it, any plugin or anything you can advise? Hi! Currently I am wading through the same problem! I shall let you know if I get any solution! Currently, I am just manually winnowing out the garbage! Hey I have just added a plugin by the name of Stop Spam Comments. Let’s see how it works! it. Is there anybody getting the same RSS problems? Anybody who knows the answer can you kindly respond? Great goods from yߋu, man. Ӏ’ѵe understand үouг stufdf prevіous to and you’re jսst extremely fantastic. Ӏ actսally like what yoս’ve got riht Һere, certainly like աҺat yoս’re ѕaying and thе ԝay durіng which you sаy it. You’гe maкing it enjoyable and you stikl care fօr to keep it sensiƅle. ɑt this website is іn fact goοd. Hi all, hегe every one is sharing these kinds of familiarity, therefdore іt’s nice tо reaԀ thgis website, and I usеd to visit this web site ɑll the timе. this web site, and article is actually fruitful in support of me, keep up posting such articles. Why people still use to rеad news papers wɦen in thіs technological globe аll іs accdessible ߋn net? I create a comment each time I like a post on a website or I have something to add to the conversation. The ‘School of Life’ Advertising Campaign | Umini’s Itchy Feet. Hi! I have used WordPress blogging tool but while transferring the blog from my initial posts at tumblr. For tumblr, coding was required and one of my friends guided me while coding manually. thus i came to “return the favor”.I’m attempting to find things to enhance my website!I suppose its ok to use some of your ideas! Hi! What do you mean by ‘return the favor’? You may surely use some concepts from here. Would appreciate if you give credit! You will want to have an on the web site portfolio and possibly a print portfolio. Hi! Have you tried Chrome or Firefox? Furthermore, The contents are masterwork. you’ve performed a wonderful activity in this subject! this short article together. I once again find myself spending way too much time both reading and leaving comments. Hi! Here’s the link. Hope this helps! Let me know if you are still having any issues. Hi! Yes, sure it does. You may want to browse Lynda.com for techniques in different platforms. You may also wants browse YouTube videos on blogging. Once I pondered about ideas, I used to jot them in drafts; later fleshed out each. Hope this helps! no one else recognize such distinctive approximately my trouble. Hi! I don’t know who your cousin is but appreciate his suggestion to check out my blog! Many thanks! Excellent weblog here! Also your website so much up very fast! the final section I take care of such information a lot. around the net. Shame onn Google foг not positioning tҺis publish upper! Hi! Thanks for the update! I have checked while browsing through the Internet explorer using Windows 8; found no problem while loading the site though. to all my contacts, since if like to read it after that my friends will too. why I am unable to subscribe to it. Is there anybody else getting similar RSS problems? saved as a favorite to check out new things on your blog. Hello my friend! I want to say that this post is awesome, nice written and come with almost all significant infos. challenges. It was really informative. Your website is very useful. Thanks for finally writing about >Travel Beautiful Bangladesh: The ‘School of Life’ Advertising Campaign | Umini’s Itchy Feet <Loved it! Hi! I guess you may want to keep a back-up copy in a jump drive or use an app that keeps a back-up of your blog as a second-line of defense. Hope this helps! Currently I do not know any sort of plugins that could solve these problems. Hi! Honestly speaking, I have not come across any plugins that may prevent against that problem yet! Tell you what I do… if that helps! I keep backups of my write-ups, pics, and videos. There are applications that maintain back-ups of your blogs, if you subscribe to that. Hope this helps! Hey There. I found your bog using msn. Thhis is a very well written article. talk about this subject here on your internet site. Thanks… I would appreciate if you kindly give credit to this blog if you paraphrase from here. but typically people don’t talk about these topics. Hi! You may try with free blogging platforms like tumblr or WordPress. WordPress is more user-friendly. You may also want to check Lynda.com for tips on blogging since there are so many videos in there for blogging ‘how-to’s. Also you may find YouTube videos of help in this regard. Best of luck! Hi! I usually am meticulous but I would appreciate if you kindly specify the mistakes that has made it really ‘bothersome'(‘rife’ spelling issues, that is!)! Please educate me! The ‘rife spelling issues’ that is! Nonetheless, I really appreciate your comment and shall go over the posts that I had transferred from my original tumblr blog to wordpress where some problems inadvertently might occur due to spacing of words due to the transfer. The native names of the places and travel destinations cannot be corrected. Say for example, Inani beach or Ghoom that I have given in italics. When giving credits to the YouTube videos, I have listed the names of the channels verbatim (say for example: ReportingSanDiegoETC) which is actually the names the authors have given for their YouTube channels! I would appreciate if you could kindly specify to help me further! Thanks! Hello! I simply would like to give you a big thumbs up for your excellent info you have here on this post. you’re actually a just right webmaster. The site loading speed is incredible. longer really much more smartly-appreciated than you might be right now. Hello there, You hhave done an excellent job. I will certainly digg it aand personally recommend to my friends. Thanks , I have just been searching for information approximately this subject for a while and yours is the greatest I’ve discovered till now. Let’s see how long I can! far? I surprised with the analysis you made to make this particular publish amazing. but I know I am getting knowledge daily by reading thes fastidious content. me know if this okay with you. Thank you! Yes, you may if you kindly quote by giving this write-up some credit! Thanks. few of your posts. Several of them are rife with spelling issues and I in finding it very bothersome to inform the truth however I will surely come again again. roommate! He always kept preaching about this. I’ll forward this information to him. to pay a quick visit the website, that’s what this website is providing. I am usually to operating a blog and i actually appreciate your articles. site as well as keep checking for brand new information. Yes, the layout is customized using the Decode by Scott Smith. Thanks for appreciating my writing! and make it important. A lot more people really need to read this and understand this side of your story. Hello there, I believe your blog could be having internet browser compatibility problems. Thanks for the info! I myself use Explorer, too. I am using Windows 8. I however, have not noticed any problems as such. lot faster then most. Can you recommend a good internet hosting provider at a fair price? Hi. Here are the details. Hi! Thanks but I myself don’t know how it got listed on Yahoo News! It’s a news for me as well! Oh my goodness! an excellent article man. Thanks a lot! could i subscribe for a weblog website? The account helped me a acceptable deal. Hi there, yeah this post is really fastidious and I have learned lot of things from it about blogging. Thanks Sonya! Honestly speaking, this blog was a mandatory assignment I had to do during last spring in my Social Media course at the University of Tennessee. Primarily I used tumblr to post 30 of my blogs. Then I decided to go for a web-hosted site where I am actually transferring my write-ups and haven’t been able to have the time to check-out different travel blogs though. I shall let you know if I stumble upon any like the genre you are talking about! Hi! Yes it is time consuming alright but once you get the hang of it; you enjoy it all the more! If you are a beginner, all I can tell you with the limited experience I have is, WordPress is a lot more user-friendly since you don’t need to learn coding with formatting whereas with tumblr, you need to. Online video resources such as YouTube lessons on blogging platforms helps a lot! Hello excellent blog! Does running a blog similar to this require a massive amount work? Hi! Thanks! Yes, it really is time-consuming. What I found with my little experience is that WordPress is more user-friendly than tumblr. You need to be an expert in coding if you want to post a well-formatted, decent blog on tumblr. However, with WordPress, generally you do not need to learn coding. Hope this helps! Hi! Thanks! I wish I could suggest you at this moment! Anyone else who would like to suggest, please? Thanks much for your appreciation! I do now, actually! Thanking the Lord Almighty for all the blessings! Hi! Thanks! I shall be posting a sequel of this Beautiful Bangladesh campaign with a post that would highlight the International Mother Language Day. actually nice, all can without difficulty understand it, Thanks a lot.